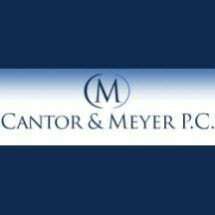 At the law firm of Cantor & Meyer, P.C., in Media, Pennsylvania, we offer quality legal representation and support to help solve some of the most pressing and serious legal problems affecting your family, your life and your future. Heading our family law practice, attorney Donna Cantor will strive to help you resolve your conflicts and reach agreements without the need for contentious, protracted courtroom battles. Where possible, using alternative dispute resolution techniques, such as mediation and collaboration, she can help save you both time and money as well as the additional stress associated with the process of dissolving your marriage. Our law firm's other founding partner, attorney Neil Meyer, has extensive experience in all areas of estate and trust planning and probate, and he has achieved notable success advocating on behalf of those who have rights as beneficiaries or are fiduciaries being challenged by interested parties. As a small firm, we provide the same level of exceptional legal counsel found at larger practices, but we work directly with our clients in order to better serve their needs. You will always work directly with one of our attorneys, not an associate or paralegal. For more information concerning the legal issues you face, you can contact Cantor & Meyer, P.C., to schedule a consultation.